Comprehensive monitoring data in Tomsk Offline? 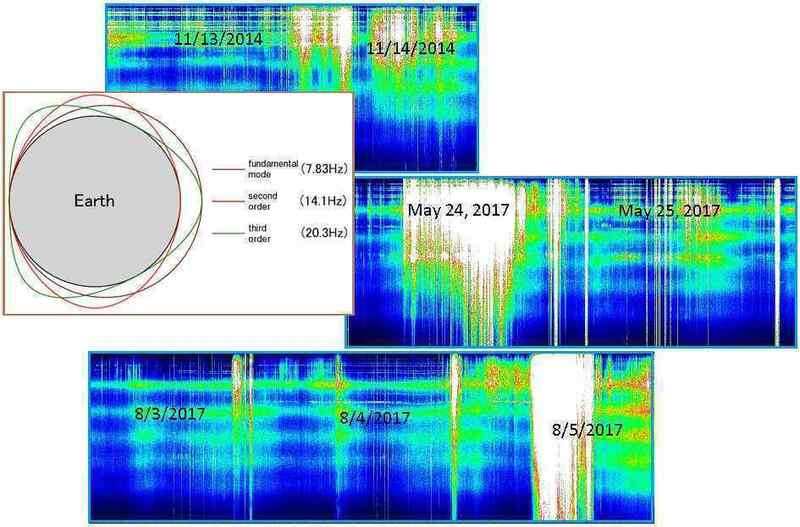 The Space observing system- Schumann Resonance and Amplitude cygnets from the monitoring data in Tomsk has been offline as of ~ 14:20 UTC April 18, 2019 following strong spiking earlier in the day. The cygnets went back online @ 05:00 UTC, April 19, 2019. Showing only 3 hours of missing data however the cygnets were offline for 15 hours. Oddly the Amplitudes look very flat. Strong sustained spiking without interruption for almost a full 24 Hrs.